The Supreme Court on Tuesday stopped for 120 days the implementation of Republic Act 10175 or the Cybercrime Prevention Act of 2012. 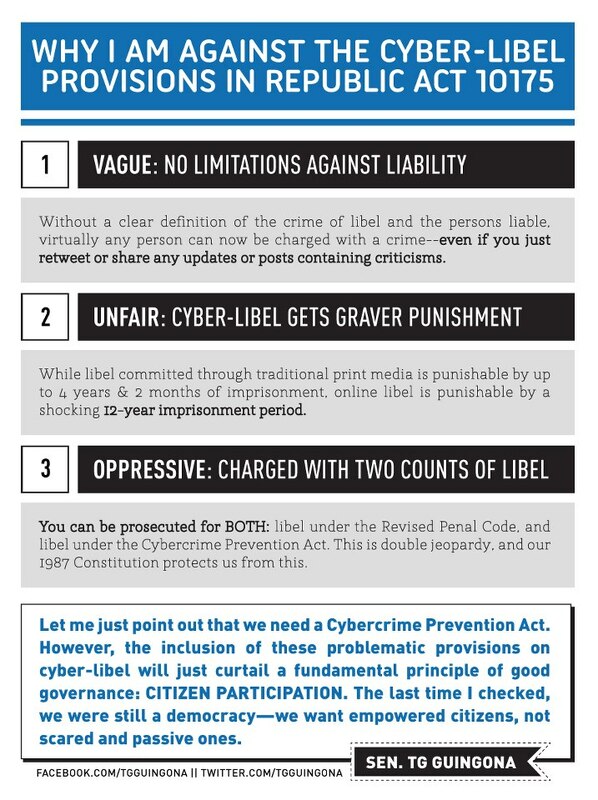 It took 11 years to pass the suspended Cybercrime Prevention Act of 2012, but it took only days to insert the law’s controversial provisions on online libel, heavier penalties for other online crimes, and the so-called “takedown” clause, which authorizes the Department of Justice to block or restrict access to websites that contain harmful content based on prima facie evidence. 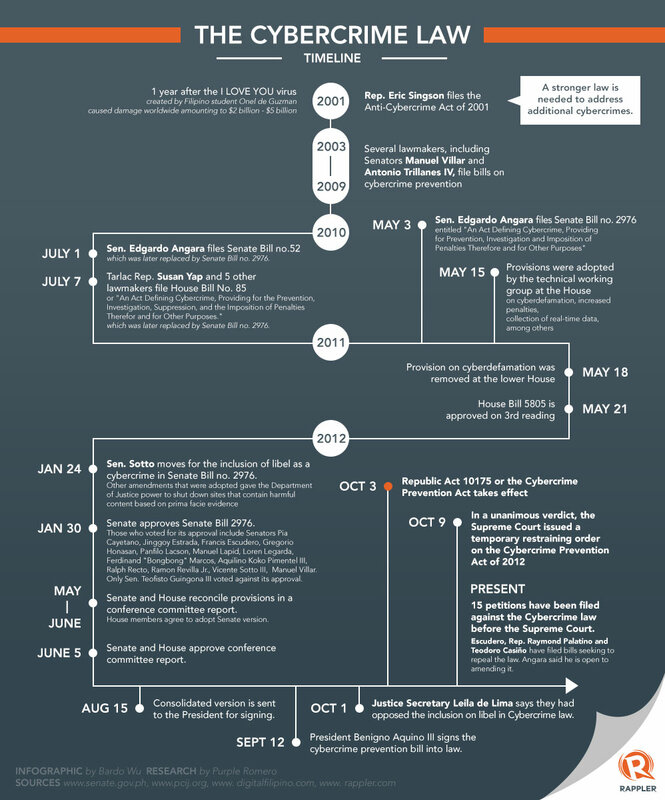 A controversial provision in anti-cybercrime law slipped under the noses of legislators in the Senate. Senator Francis “Chiz” Escudero himself admits his oversight when he voted for the approval of Cybercrime Prevention Act. “It was a mistake… I don’t want to give any reason or motive (why some senators inserted that provision),” Escudero explained. Some say that Malacanang’s attitude to both bills reflects a wariness of both established and social media. When I asked him why Malacanang did not make FOI a priority, one Palace official, without invoking confidentiality, told me flat out that the Palace had problems with the bill because “the press already has too much power.” This person might have merited an A+ for frankness but an F on free speech and freedom of information, which are among the pillars of a democracy. Amazing that a bill that assaults our freedom can be signed into law by “mistake”. Amazing that this law can put more important bills – the reproductive health (RH) bill, the freedom of information (FOI) act – on the back burner. Amazing that this country is still standing! Do the right thing, Senators. President Aquino, I voted for you – and now I’m ashamed that I did.